I love to use maps around my house as decor. It's such a great way to remember favorite places you've lived or fun places you have been on vacation. I've used a map to decorate a dresser for my son's bedroom and made some state and country love art representing places our family has lived. 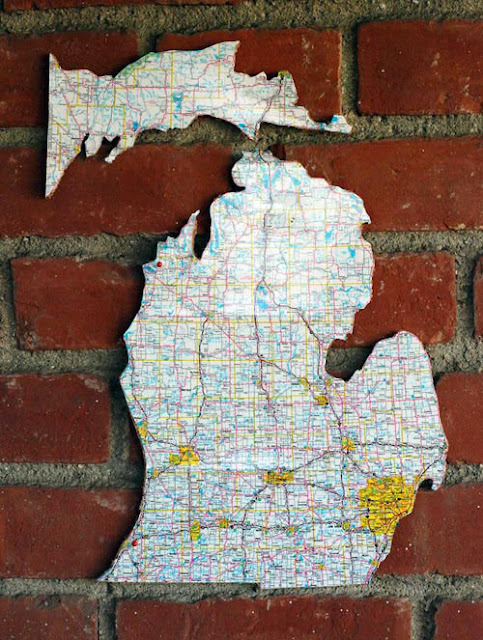 So today I'm going to show you 5 awesome ways that you can repurpose maps around your house! 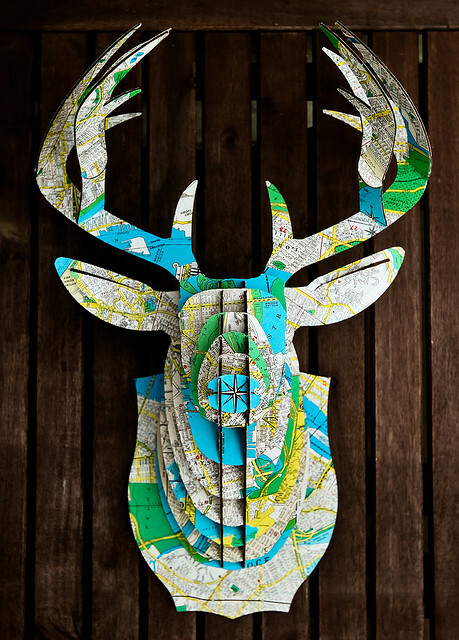 Love this fun deer head decorated with a map of Brooklyn. His family named him Grover! 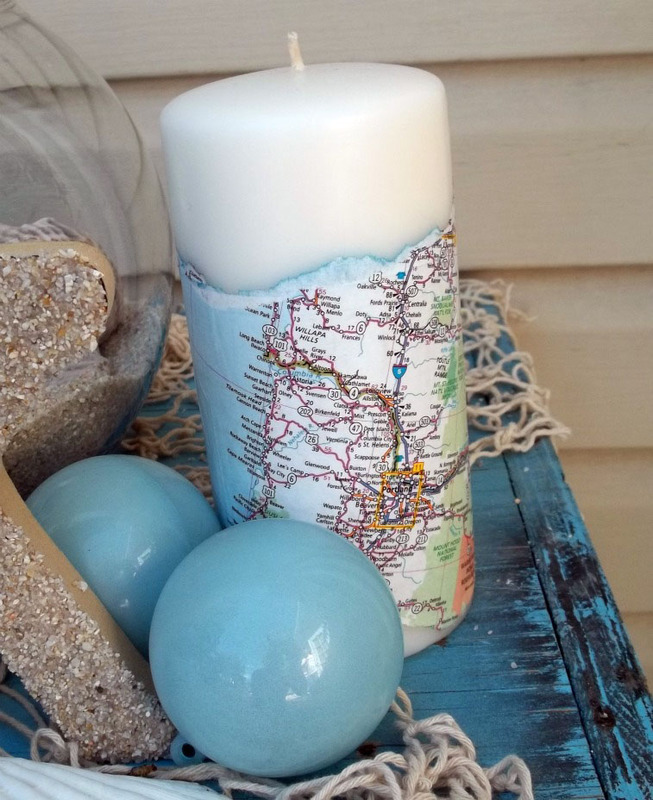 Wendy from Craft Goodies made this adorable map candle. What a cute way to decorate for a going away party and use the map for where your friend is moving to! Or even a fun way to announce a trip to your kids. Totally love this light fixture from Paisley Sprouts. 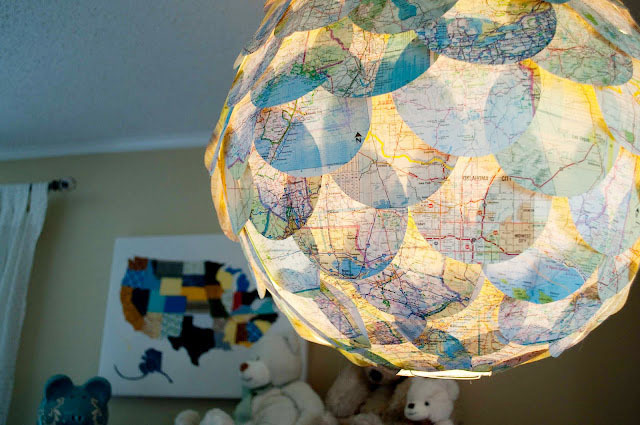 Amazing how adorable a pendant light, hot glue and a map can be! It goes perfectly in her son's travel inspired nursery. I really like this great corkboard form Design Sponge. How fun would it be to make a huge one with the whole world on it? Then when friends come over they can put a little push pin on where they are from or where they have traveled. Would make such a fun conversation piece. 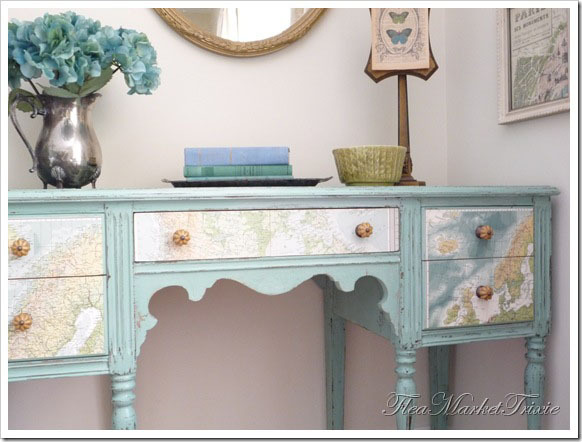 Totally adore this aqua buffet that Flea Market Trixie refinished maps. Love the antique finish and cute knobs! 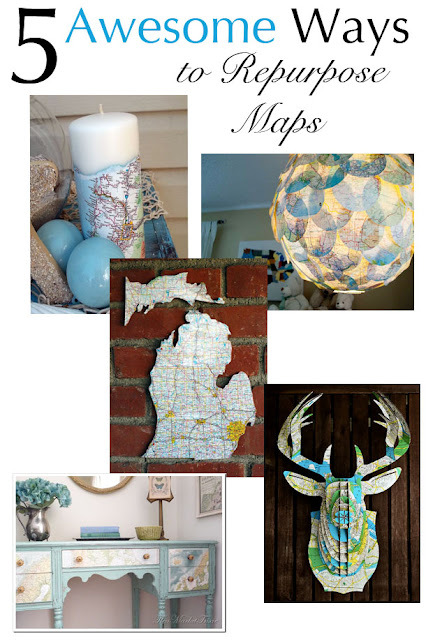 Have you used maps to decorate your house?